Necklaces are my absolute favorite accessory and it's a wonder I simply don't spend every paycheck on necklaces alone because I could, given the opportunity. Each of the shops above have items that are continually on my wish list. With so many beautiful handmade options, I couldn't simply pick one favorite shop so I've chosen a few to share. 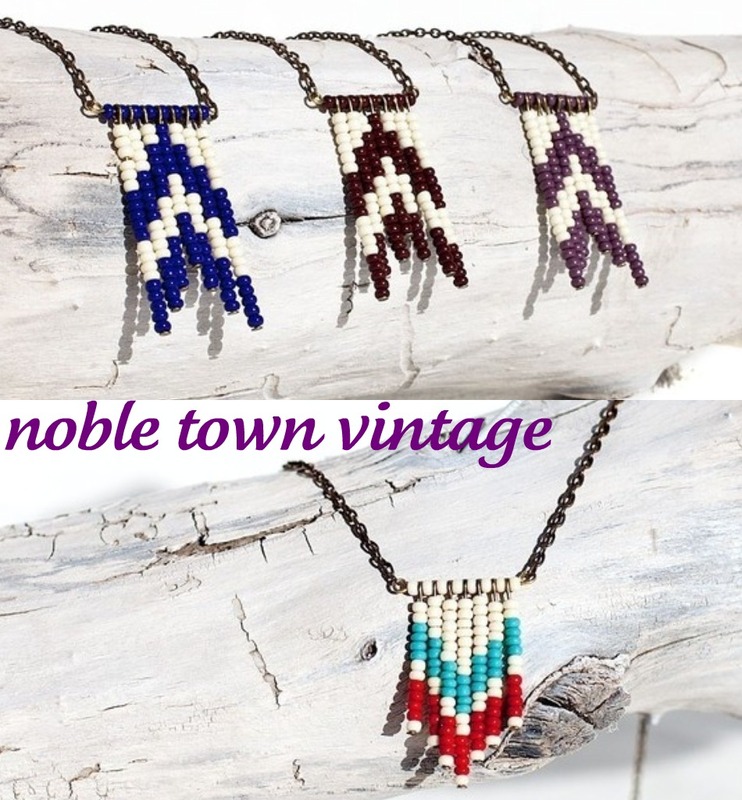 Now that I've shared some of my favorite jewelry shops with you, do you have any favorites you'd like to share? I'm always on the hunt for more necklaces to add to the wish list so I'd love to hear your suggestions. Very pretty...I love the vamoose! Gorgeous. I am loving all--but brevity has to be my favorite. 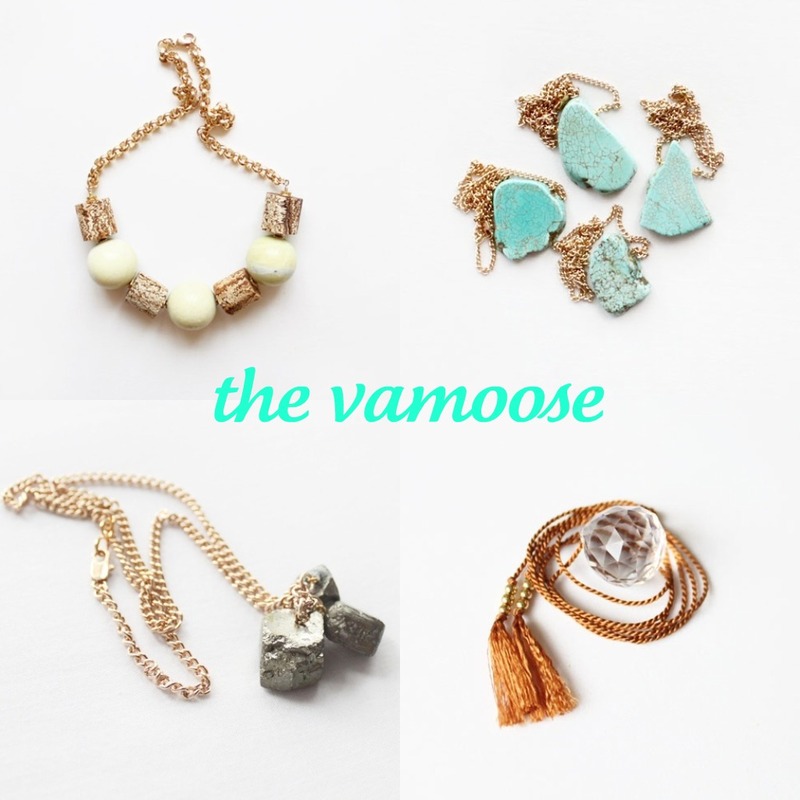 Love The Vamoose! Just discovered them yesterday! The ones you listed are awesome though, I especially like the ones from The Vamoose! KC- thanks for the recommendation. her work is gorgeous and i'm especially smitten with her ring selection. lauren haupt is lovely! 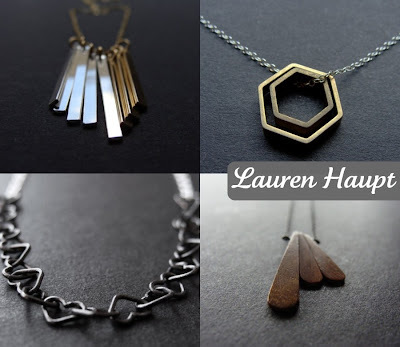 i love have any necklaces on her etsy etsy store currently. 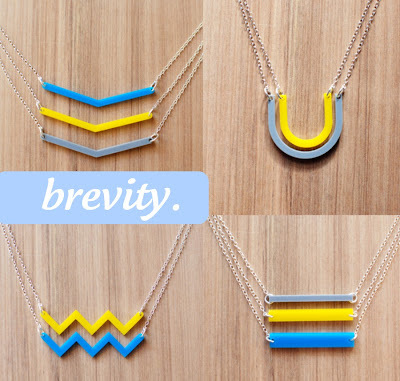 I also really like blockpartypress's pod necklaces. I am mad for that top right octagon! Les Gazelles are the "Gypset" family who jump from Tahiti to Mexico to Santa Barbara and back. They support their lifestyle by placing South Sea black pearls on Kangaroo leather strands. Simple. I trip out at this "Lightning Fulgurite" necklaces from Aesthetics Unlimited. When lightning hits the dirt in the desert, it melts the surface of the sand in branch shape on the outside and leaves a natural tunnel on the inside. Heavy as iron, and so wild. Cheers!.. to the wild and rare. i am in love with these! 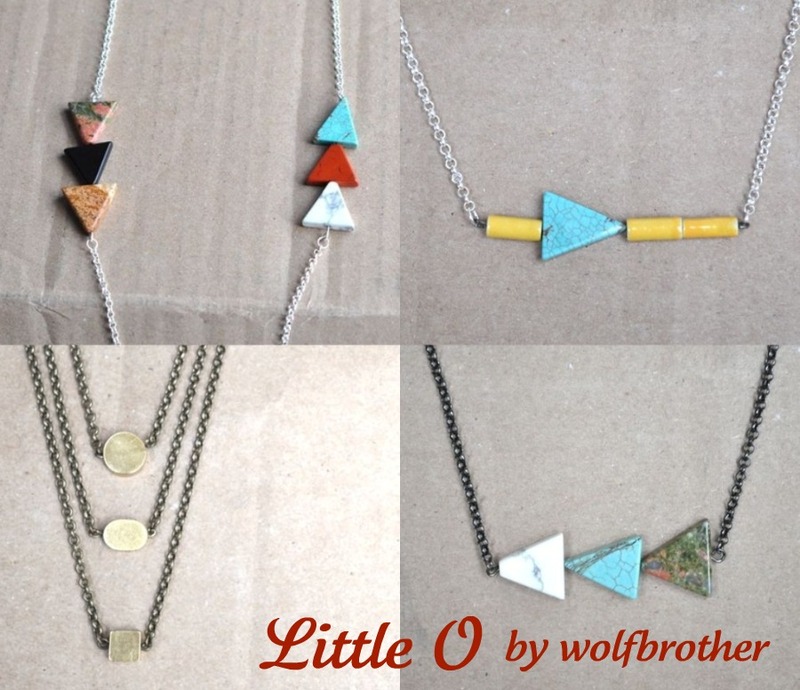 especially the vamoose and little O by wolfbrother (new-to-me!) thanks for this roundup christina! Ummm - way too many to comment on! I am obsesses with the colors and designs from Brevity but love the simplicity of the vamoose! I want them all!